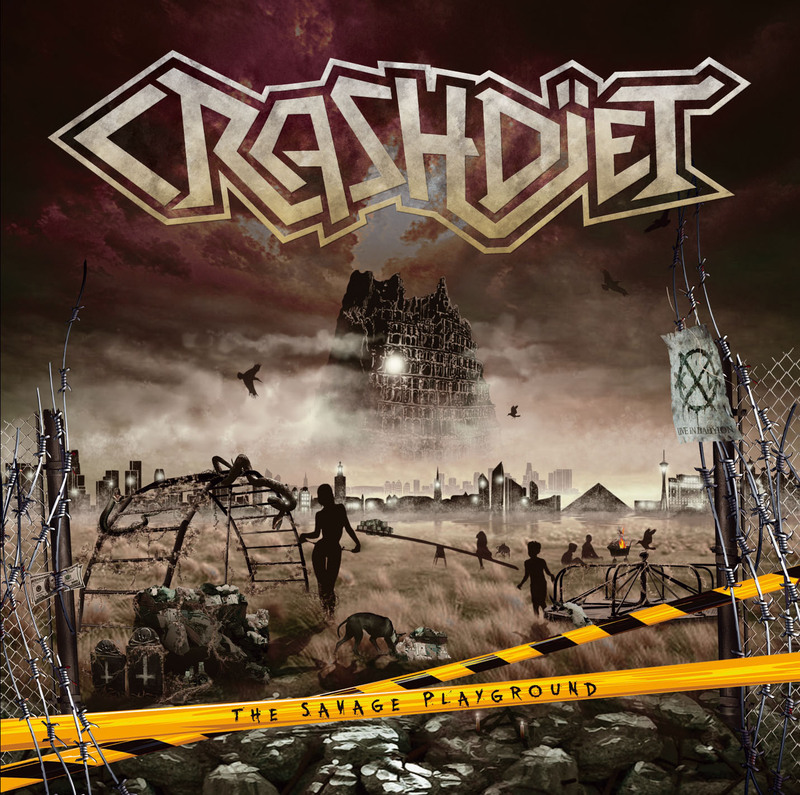 RockUnitedReviews: Crashdïet: "The Savage Playground"
The previous Crashdïet album "Generation Wild" was a great piece of work, so my expectations for this one were pretty high. Having played it through quite a few times, I still don't know what to make of it. Let's just go through the tracks one by one and see what's on the bottom line in the end. "Change The World" is a powerful opener and once the guitars come in, instantly recognizable as Crashdïet. The chorus doesn't really have the effect I hoped it would though. The first single "Cocaine Cowboys" has a certain Mötley Crüe'ish swagger to it and I've grown to like it more over the last few days. I can understand why it was the first single/video. The hard-hitting "Anarchy" is probably my favourite track of the album - a great mix of metal, attitude and melody. The subtle "California" showcases the melodic side of the band with fine background vocals and interveawing melodies. With "Lickin' Dog" the band can forget any thoughts about invading the mainstream radio thanks to its' lyrics, at least in the english-speaking countries. I'm not particulary fond of the track, but it is irritatingly infectious, and I've had it in my head for the last couple of days. "Circus" is a straightforward rocker with a decent hook, not necessarily a future Crashdïet classic but a solid album track. That could be said of most of the remaining tracks actually... "Sin City" for example - the chorus is catchy but ends up being a bit too repetitive for its' own good. "Got A Reason" is slightly more melodic, as is "Drinkin' Without You" which has a bit of a G'N'R vibe ("Appetite's" most melodic tracks). The heavy and pounding "Snakes In Paradise" has a definite "live favourite" written all over it, but I must say that it's not one of my favourites. Same goes for "Damaged Kid", a very uptempo track, not too bad but somehow one of the less significant tracks. "Excited" is as close to a ballad as Crashdïet seem to get, one of the most melodic tracks of the album. The "epic" closing track "Garden Of Babylon", with its' oriental leanings is probably one of the heaviest tracks of the band so far, with Simon Cruz pushing his voice to extremes. He does a great job on the whole album, showing how versatile he is. 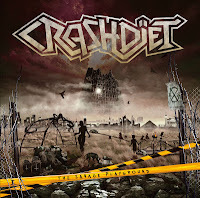 So, let's see... apart from "Anarchy", each track would have to try and fight its' way to a "Best of Crashdïet" compilation, if I were to put together one. The fight would be bloody and violent, yet I'm afraid most of them wouldn't make it. Still, somehow the songs seem to "fit" this album and I can see why they were included... I just wish the hooks were a bit sharper, the melodies more memorable. A minor disappointment. NEVER A HERO: "Bleed Between The Lies"
CIRCLE II CIRCLE: "Seasons Will Fall"
ADLER: "Back From The Dead"
The RESISTANCE: "Rise From Treason"
LOVER UNDER COVER: "Set The Night On Fire"
DEEP PURPLE: "Live in Paris 1975"
BOURBON BOYS: "Shotguns, Trucks & Cattle"
Y&T: "Live At The Mystic"